If you have been listening to me for any time now, you know I love giving away things for free, that’s a method for getting customers or getting potential customers. Now, many or few will not like to give away things for free because you feel that you’re doing work for free, but I want you to think of it in a different way. For example, you’re a mechanic and if you gave away a free winterization for a car, people will come to you. You say “No obligation.”, people come, you can check now, you can check the radiator, the tires, all the thing that you need to check. You can give them a free check and then give them a free report including what needs to be done and including a price. Now, most important if someone does not need anything done, still give them a report that shows them all you checked out. They are all clear. It’s totally free and they don’t need anything. Now you’re thinking to yourself. What is the point of that? What a waste of my time? But no, that person is thinking “Gosh, he’s trustworthy, he’s nice.” or “She’s nice, she’s trustworthy.” etc and that goes in the old brain bank for later and thinks “Mmm, now when I need something doing, that’s where I’m gonna go and have it done.”. So, remember if you are a beautician, you can give a skin order or a hair removal audit, or you could do a test or give afree sample, or a free something. If you are a plumber, you can give a free carbon monoxide audit. If you are an optician or an optometrist, you can give some kind of free eye check. This is not giving people a service for free, this is building trust, building relationships, building a reputation and the time you spend doing this is better than spending the money on a yellow pages ad. Trust me, it works. By the way, that’s for Claire, who apparently notice I say “It works” a lot; so, Hi Claire! Now, with something like I would say, the eye test, quite often. If someone needs something doing, who are they going to go to? 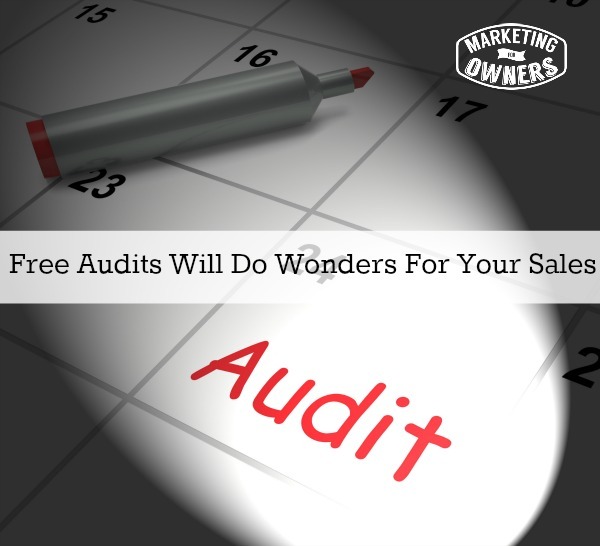 You’re instantly top of their list, if they came to you for the free audit in the first place, they already have a some kind of trust in you. So if they need something done, who’s going to get the job? You’re very likely to, however, when you give the order, don’t forget to take their details, take their email address, take their address and then you are building up a customer, a potential customer, that’s people that you can send offers to. Just think… so if you’re the mechanic and you think “But I’m busy.”, reserved say Thursday morning slots when people booked in “Hey, it’s Thursday mornings and Tuesday afternoons.”. You don’t have to offer this all the time, be systematic, go on, try it. Of course we’ve don’t all the time, then more often enough, they will take us up on the work because it’s free or the work isn’t but the first bid is and we make sure we do a good job. 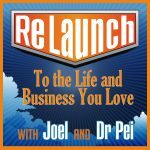 Today I’m going to recommend a podcast called Relaunch, it’s from Joel Boggess and his wife Pei, Doctor Pei. He’s a dentist. It’s nothing to do with dentistry. He’s being recording a radio show for long time. It seems to be every couple of days, last about 30 minutes and they have a great report and they have good guests. 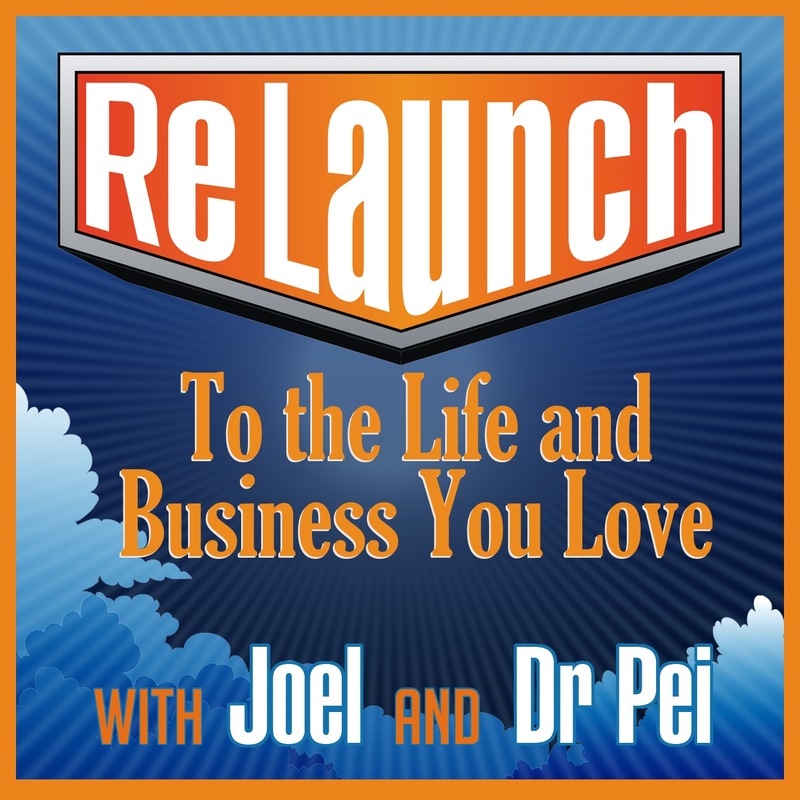 I recommend you go listen to relaunch on your way to work, tomorrow cause I’m assuming that you’re already at work and you are listening to this in your lunch break. Whatever you do, enjoy your day. I’ll speak to you soon. What kind of freebie can you offer your customer to draw them in?